Want to maintain that positive mood, keep your energy levels high, and just feel GREAT every day? Achieve all of this and more with your next liver detox! Why would detoxing the liver naturally have such a profound effect on your body, mind, and energy levels? Read on to discover the reasons why. What Does Your Liver Do for You Anyways? There are so many functions that this oval-shaped, 3-pound bag of tissue performs in your body (some experts say over 400!) that it would take an entire book to describe them all. In a nutshell, the liver plays a major role in both metabolism and detoxification. It breaks down nutrients from food into forms that can be used in the body. It also stores these substances and supplies the cells with the specific nutrients that they may need at just the right time. The liver is vital for the breakdown of carbohydrates, fats, and protein. In carb processing, it helps ensure that glucose levels stay balanced. In the breakdown of proteins, liver cells help convert amino acids from food into substances that can be used as energy. And in fat metabolism, liver cells do basically the same thing – with the help of the gallbladder, it breaks down fat particles into energy. The liver also has intricate relationships with several other organs. Blood that comes from the digestive system flows through certain areas of the liver bringing nutrients. The liver also works with the kidneys. Ammonia is a byproduct of the breakdown of proteins, carbs, and fats. Liver cells convert this potentially-toxic substance into urea, which is ammonia’s more benign form, which is then transported to the kidneys to be passed out of the body as urine. 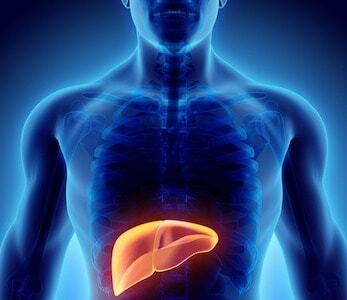 And of course, the liver’s function is vitally connected to the gallbladder, which is a small organ located underneath the liver. The gallbladder’s main job is to produce bile needed for the breakdown of fats. Although we now know enough about the liver to understand that it is crucial for the health of the entire body, science is still learning about its connections to specific nutrients, mechanisms, and disease process. For example, new research is now discovering the link between magnesium deficiency and liver cirrhosis (extensive scarring of the liver) as well as magnesium deficiency and fatty liver disease. Fatty liver disease, or Hepatic Steatosis, is a condition that is of special concern in this day and age. At one time, fatty liver disease was mostly connected to alcoholism. Over the last decade, however, the number of individuals with non-alcoholic fatty liver disease (NAFLD) has grown exponentially. NAFLD occurs when the liver is not able to metabolize fats efficiently. According to a 2015 analysis conducted by Thomas Jefferson University “there is a worldwide epidemic of non-alcoholic fatty liver disease (NAFLD)…” According to the American Liver Foundation, roughly 25% of the U.S. population is effected by NAFLD in some way. Thomas Jefferson researchers call NAFLD a “clinical entity related to metabolic syndrome.” Conventional medicine often connects NAFLD to genetic predisposition as well as obesity and diabetes, although not everyone who is diagnosed with the condition are overweight and/or struggling with diabetes. More forward-thinking researchers are now making the connection between NAFLD and environmental and pharmaceutical toxins. Chronic use of certain pain killers as well as the use of certain chemo drugs may be contributing factors for NAFLD. In addition, a 2017 investigation published in the journal Nature: Scientific Reports made the definitive link between NAFLD and the consumption of GMO foods, especially those that have been sprayed with even the smallest amounts of the pesticide Roundup. If the connection between chemically-produced toxins and NAFLD is correct, then it is no surprise that as these chemicals continue to pervade every aspect of our lives, the incidence of not only NAFLD but also Cirrhosis, liver failure, and even cancer of the liver will continue to rise as well. According to the American Cancer Society, the number of liver cancer deaths have increased by three percent every year since 2000. In 2017, 40,710 Americans will be diagnosed with cancer of the liver. In this age of increased toxic load on all levels, it is imperative that the liver be cleansed on a regular basis. According to both Chinese and Ayurvedic traditions, transitional points of the year (such as the weeks right before the winter and summer solstices) are great times to give your liver a hand in order to detox and refresh on a deeper level. Each of the cleanse modalities listed below can be utilized from one to three weeks. If you are fairly healthy, you should be able to support your liver in these ways while at the same time maintaining a regular schedule. Although, it may be a good idea to focus on healing as much as possible by keeping extra activities to a minimum during the first few days as your body flushes out extra toxins buried deep within the organs. In addition, if you have been diagnosed with NAFLD or any other health condition, it would be wise to consult with your health practitioner prior to embarking on any kind of concentrated cleanse. #1: Use Gentle Herbals. Certain herbs can have a profoundly strengthening effect on the liver. Three such herbs that have been used for centuries are milk thistle, dandelion root, and Holy Basil. Organic dandelion root and Holy Basil can often be found at health food stores (or in your own back yard). Milk thistle is often sold in supplement form and can be a great boost for the immune system as well. Quality liver detox supplements that synergistically combine multiple herbs for overall cleansing can be very effective as well. One such supplement, Detoxx by Organixx combines Holy Basil, fennel, cardamom, turkey tail mushroom, and other key herbals for an overall cleansing effect not only for the liver but for the digestive system too. #2: Coffee Enema. Enemas have been used for centuries by Ayurvedic practitioners and some of today’s top natural health experts say that regular coffee enemas are a “must” for a toxic world. Administering an enema with organic, pesticide-free coffee can be an instant energy-lifter and here’s why: blood runs though the liver every three minutes. Retaining coffee in the bowels for just 15 minutes allows it to seep through the intestinal wall and into the “portal vein” of the liver, where it will stimulate the gallbladder. Coffee also provides the body with the phytochemicals kahweol and cafestol, which can lower inflammation, activate glutathione production, and encourage cellular detoxification. Coffee enemas have also been shown to stimulate apoptosis, or cancer cell death, in some studies. Just combine one whole organic lemon, cut into pieces (rind and all), 1 Tablespoon extra virgin olive oil and a pinch of cayenne in 6 ounces of pure water. Blend at high speed until thoroughly mixed. Then strain and drink. You can also sip this infusion throughout the day for a gentler cleanse; just make sure to wait at least an hour before eating. #4: Don’t forget the gallbladder. The liver-cleansing “shot” mentioned above is great for the gallbladder too, which is a good thing. In order to really cleanse the liver, you also must take the health of the gallbladder into consideration. To help your gallbladder and to prevent painful gallstones, stay away from trans fats and processed foods, and make sure to drink plenty of water. Practice stress management techniques such as yoga, meditation, journaling, strolling in nature, skin brushing, soothing baths, and self-massage. Put one of these activities on your to-do list every day! Treat your liver with love, live a healthy lifestyle that supports and strengthens it, and give it some time to deeply clean out all the toxins of our modern world every once in a while, and it will do what it is meant to do – help YOU stay vibrant, healthy and strong! Do you want to have increased energy levels, a stronger immune system, less digestive issues and allergies, a more positive mood, and even clearer skin to boot? You can – by paying attention to that multi-tasking super-organ called your liver. The liver plays a major role in both metabolism and detoxification. The liver’s function is vitally connected to the gallbladder, which is a small organ located underneath the liver. Fatty liver disease (Hepatic Steatosis) is a condition that is of special concern. Over the last decade the number of individuals with non-alcoholic fatty liver disease (NAFLD) has grown exponentially. Chronic use of certain pain killers as well as the use of certain chemo drugs may be contributing factors for NAFLD. GMO foods sprayed with the pesticide Roundup have also been linked to NAFLD. In this age of increased toxic load on all levels, it is imperative that the liver be cleansed on a regular basis. How often do you drink the liver cleanse shot drink? You need a full blown apple juice, orthophosphate and olive oil ingredients do do a proper liver flush. Just my personal experience. Of course fluid oz but what is best source of pure fresh filtered water? Your own in home filter. We use Multi-Pure filter. It states to drink “Half your weight in oz”. And then clarifies specifically. This makes total sense and I love how it addresses the spirit, mind and body! Thank you very good information. Drink half your weight in pure, fresh, filtered water… Talking about everyday routine… Is there something I’m not getting ? Seems like a lot of water on a daily basis! What if you’ve had your gallbladder removed? It will work just fine….did yu know yu should b taking pepsin and HCI? Solaray has an HCI with Pepsin. Without a gallbladder yu cannot make pepsin anymore. Now that your gallbladder is gone, you’ll need to take a bile supplement to help digest fats since that is what your gallbladder was for. I’m curious about the water content as well.. 27kg of water is a lot!! ? They meant half your weight in ounces not pounds. 120 lb person should drink 60 OUNCES not pounds! Should I use the same cleansing method (cleansing shot) if I no longer have the gallbladder? Why olive oil is recommended for the liver “shot”? The omega 6 /3 ratio is not healthy in olive oil. Won’t it be more beneficial to use a different oil with more omega 3 vs omega 6? Omega 6 promotes inflammation. How then inflammation caused by omega 6 (in olive oil) would help cleansing liver? I have a 1.2 cm gallstone (putting off getting gallbladder removed). Can I do the detox liver shot? We would suggest speaking with a trusted medical professional before trying any new supplements! Does carrot juice helps in detox ? Thank you for leaving feedback, Paul. Are you planning on giving our Detoxx line a try? If yes, then this is a great place to start reading: https://organixx.com/detoxx-package/ .